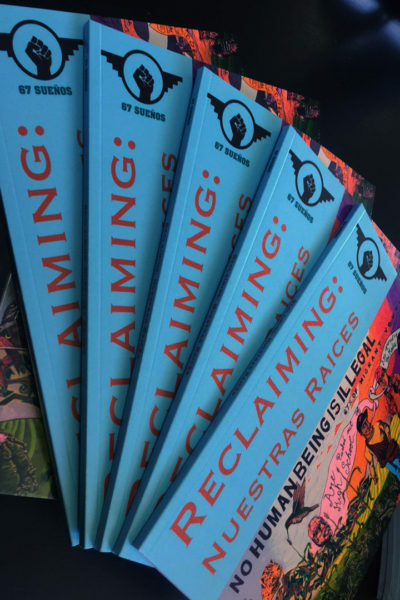 “Reclaiming Nuestras Raíces” is the first published poetry anthology put together by 67 Sueños youth. Pulling from their raw lived experiences, they share with you all personal details about themselves, their families, and their communities. The youth spent months pouring their pain, trauma, tears, laughs, and hearts into their writing. Through were many discovered a path of healing and were able to share parts of their stories that they otherwise wouldn’t. 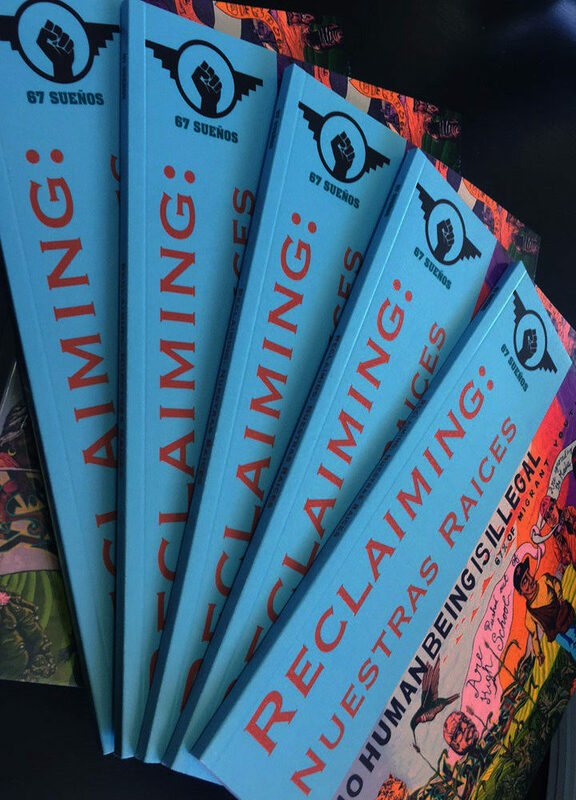 Inspired, mentored, and supported by powerful writers like Chhoti Maa, Ericson Amaya, Linda Sanchez, and Jacqueline Garcia they were able to create these pieces to share back with their community. We have discovered that trauma healing is one of the most important pieces when working with youth of color. At a young age, our youth are exposed to trauma and violence. That trauma is often internalized shaping who they are and how they act in different spaces. Often times, youth of color are pushed into seeking culturally irrelevant forms of treatment such as speaking to a psychiatrist. This can be a very uncomfortable situation because the approach and models used are disconnected with youth lived realities and their intergenerational traumas. Their solutions a lot of times revolve around self medicating or a treatment that is inaccessible/unrealistic. 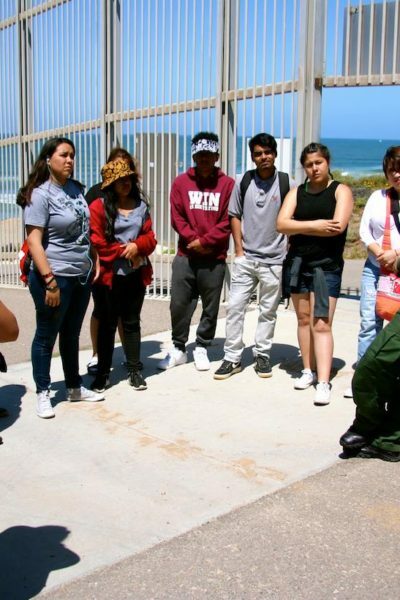 As an alternative, 67 Sueños immerse youth in a holistic trauma healing experience. Our youth learn about the systems of oppression that exist in their lives, then they collectively dismantle the systemic traumas and acknowledge the similarities and differences that exist between their peers, and ultimately the youth are re-connected to their traditional indigenous healing practices such as: healing circles with copal, comida sagrada, musica terapia/drumming circles, sweat lodges, sunrise ceremonies, de-colonial political education workshops around natural tea and herb blends, poetry writing as a step to heal their minds, hearts, and bodies. We work intentionally to create a safe and healing journey for our youth where they adopt various tools, skills, and knowledge, selecting the best fitting for them to build habits of self-care and community love. 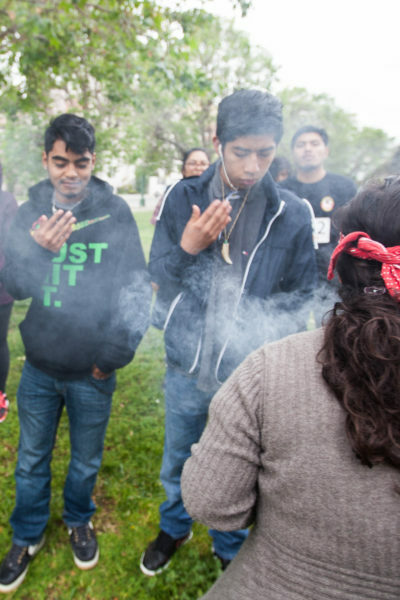 Our youth are using these tools to get out of their comfort zones and shed light on other struggles and revolutions that are interconnected with their own struggle and liberation. Through their artivism, 67 Sueños youth are cultivating bridges locally and internationally by reframing negative narratives and uplifting community resilience, power, and solidarity. At 67 Sueños we believe in mentoring our young people to take advantage of different opportunities, even if it pushes out of their usual comfort zone. The reality for most of our young people is that they have never stepped out of their own neighborhoods. In these communities our young people have experienced a lot of violence resulting in trauma. For this reason, we aim to make sure our young people get to explore things that otherwise they would not be able to, from a simple BART ride across the bridge or a 6 hour car ride to L.A., to flying across the globe to serve as social justice youth ambassadors, we want our young people to gain independence and experience other powerful organizations leading life transforming projects in our state, nationwide, and/or internationally.